Hubby and I love dessert after dinner. To help us stay healthy and also keep our desserts - we purchased us a Zoku Quick Pop Maker. It is the neatest machine ever! We can make our own frozen desserts in 7 minutes. 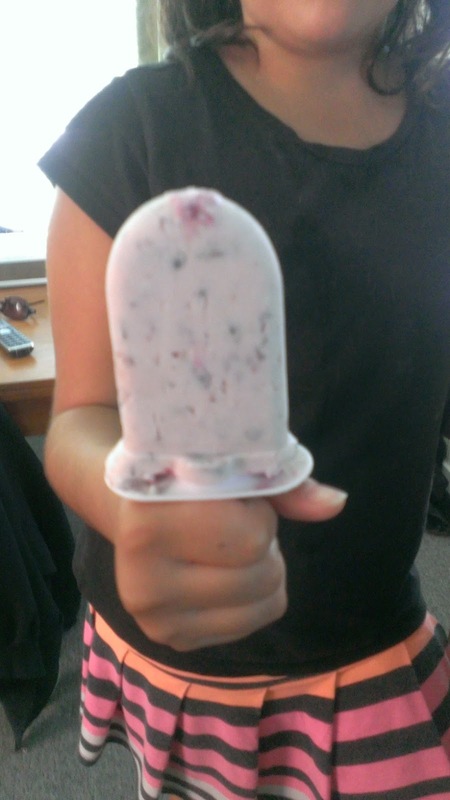 Many of you know we have started making our own yogurt - here is our 1st frozen pop's made using our homemade yogurt ~ Blueberry Yogurt! 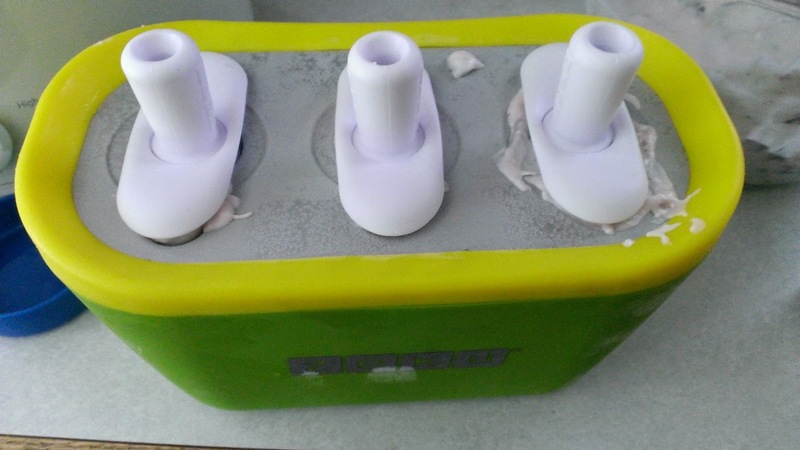 This was my 1st attempt at making a frozen yogurt bar using my Zoku. The pop possibilities are endless - my next pop's will be cranberry! Here is a video to show you exactly how to make the pops! I would recommend the Zoku as a great addition to any kitchen. Frozen pops in 7 minutes! There is always time for fresh pops are our house! 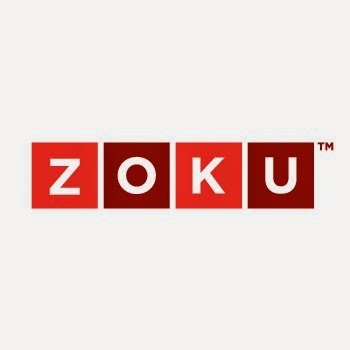 I purchased my Zoko on Amazon! Great tip about not over filling the molds! I have seen this around and would definitely be interested in trying it. I have been wanting a Zoku for so long. I reviewed it a few years ago and loved it. I have seen this at the store and been tempted to get one. Thanks for sharing your tips! I totally got sucked into the video! That is an awesome demo! I can't believe how fast they freeze! How fast they freeze is definitely part of the appeal!! That looks amazing. They sure freeze fast. I need to get one of them. You can't beat frozen pops in 7 minutes. Thanks for the demo and the what not to do tips. I will have to put this on my Christmas list. Do you know how long I wanted one of these??! I love yogurt and I definitely want this...add this to my Christmas list too! We have had the traditional ice pops holders but always throw them away. I need this. How fun! This would be a great thing to do with the kids. We used to make our own popsicles! I need to get out our kit so we can start doing that again! This looks like so much fun. We've tried to make frozen juice pops in the past, but nothing has worked. We'll have to check this out. We recently featured the Zoku on my blog and my reviewer loved it! I totally want one for myself! The possibilities really are endless! OMG, my kids would love this! I can see them coming up with all kinds of frozen pop ideas! Thanks for sharing. Putting this on the list of must haves! My best friend has one of these and they are awesome! Love that you can add your own fruit/yogurt in any combination you want and they are super fast. We are waiting for the trade show and then we are getting 2. With a large family we need a lot of popsicles! I am with you, I have a sweet tooth myself. I have been eyeing on these Zoku molds for awhile! Zoku looks like a great kitchen gadget. I can see making all kinds of fun delicious pops with that thing. These look delicious! I think my hubby would love to have something like this! I've been wanting to try one of these for a while. We love dessert after dinner too. Those pops look so refreshing. Dessert after dinner is a must, I think. Yummy! This would be a great healthy alternative to ice cream for dessert and it's easy to make something new every time. This looks like a great alternative to ice cream for dessert. I always have to have dessert after dinner! This looks like so much fun! The kids could even help make it! I have never heard of this before now. However, it sounds like something that I definitely need to check out. My kids would love these! I tried a cheap version and it wasn't pretty LOL! I think I'd make these ALL the time! I'd change flavors every time too. Ooh, I've seen these around and they look like something I'd use a lot. We like popsicles year round! Oh yum, those look so tasty. I want one! This is such a great idea -- I can think of so many yummy flavors to use for them. That looks like fun. I would love to make my own pops!! As we live in GA frozen treats are a huge hit with my family! I need to look into this! Wow- I have never heard of this before. Seems intersting. Wow, I have never tried using a pop maker! That sounds really easy, and we love frozen fruit bars so this would definitely come in handy! I have been wanting to get one of these! We tried the Zoku slushy cup thing and it did not work at all! I've heard of these before. Definitely makes popsicles so much more fun! These look good. They're a great alternative to typical frozen treats. I have a cheap pop maker but this one seems way better! I should grab this one. I have not made my own pops at home for years. I would really like to try some yogurt treats like these for my kids. I think we'd love this for summer in our house. I have to add it to my wish list for next summer. Wow I didn't realize how easy it was to use! Might be getting one for next summer! I need to try one of these! this looks awesome, I need to try this. My kids love pops all year long. I saw this at a store and was wondering if it worked. I want one now. I would love to be able to make frozen treats in seven minutes. That is so cool. I really need this. I have thrown away more molds than anyone I know. I don't know what I'm doing wrong, but I can never get the pop out of the mold! My kids would die if I got this. I have been wanting one of these. I have my eye on one at our Kitchen and Company.